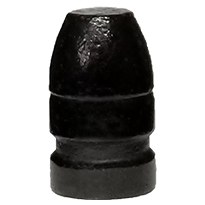 I'd been waiting for Badman Bullets to introduce polymer coated bullets for the .41 Magnum. I loaded the 215 grain RNFP atop 8.0 grains of Herco smokless powder. Extremely accurate at 25 yards in my S & W Model 58. Very controllable also.